When I began learning how to build cabinets 30-plus years ago, we still worked off hand-drawn blueprints and the only way to show a client what a job might look like was to jump in the car and visit a previous job. Now, technology can create a 3-D walkthrough of a kitchen that doesn’t even exist yet and the cabinetmaker can rotate shop drawings through three axes on a screen, just to get a better understanding of the joinery before he makes a cut. 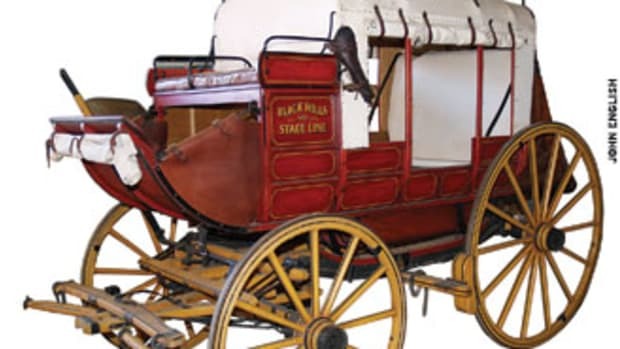 Commercially viable lasers have been with us even longer than design software, although they are not as universally present in woodshops. The perception once was that they were an expensive investment that wouldn’t attract enough work to justify the price tag. But subtle changes in both attitudes and cost have gradually taken place during the last couple of decades. Lasers have withstood the test of time and, as with most technology, they have become more complicated internally, but at the same time easier to use. Perhaps the most significant change is that the investment no longer has to be made in-house. 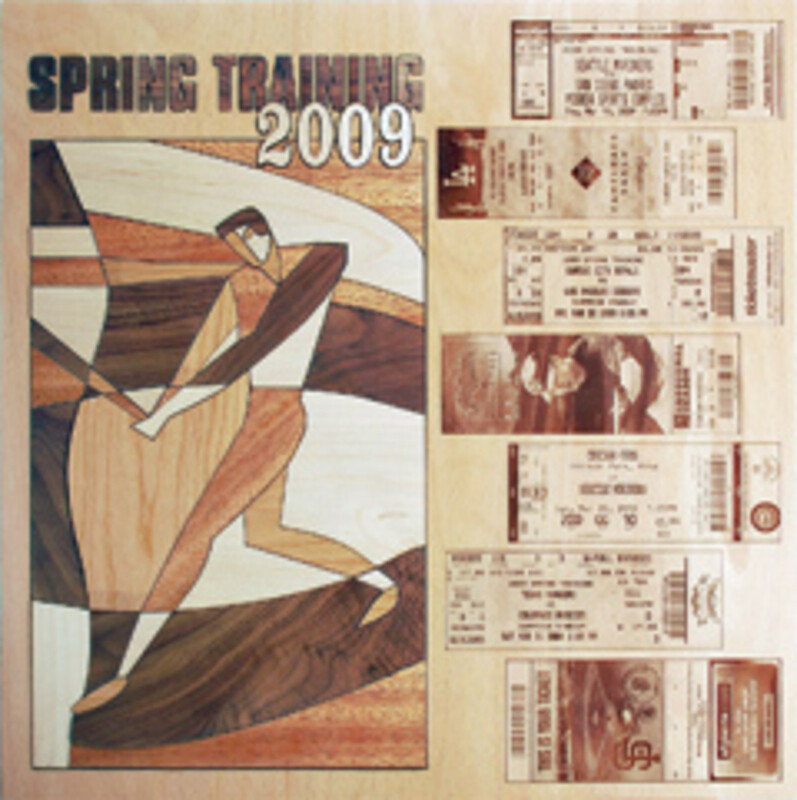 Small businesses all across the country (many of them originally woodshops themselves) now specialize in cutting parts and engraving designs in wood by using lasers. Being able to outsource these tasks has created a new opportunity for woodshops. They can offer the added value of engraved panels, intricately cut fretwork and decorative moldings without having to invest in a laser and the time to train an operator. One such resource is Laser Tech in Buford, Ga. (www.lasertechatlanta.com). “We can cut parts in most wood species up to about an inch-and-a-half in thickness,” says owner Chris Nowak. “The process starts with something as simple as a print, a drawing, DXF or DWG file, or several other formats. We work in solid wood, plywood, MDF and lots of other composites. “One big advantage to having us make parts is that they come with a high-quality edge, so you don’t have to sand. We can also handle very intricate details and we can also nest your parts (cutting several at a time) to save you material. Laser Tech operates four laser systems from 25 watts to a massive 2,200 watts (capable of cutting steel) and tables that can handle work up to 4’ x 8’. There are thousands of other shops across the U.S., most of them offering fewer options than this, but still capable of meeting almost any woodshop request. 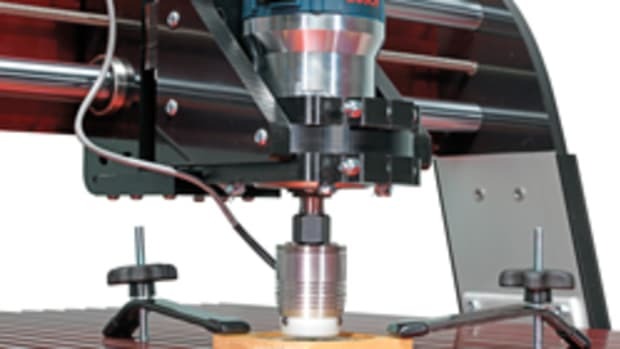 For small woodshops or smaller jobs, outsourcing is an obvious option and this aspect of the laser industry is most definitely changing some practices of the woodshop industry. For companies considering bringing a laser in-house, the two biggest variables when choosing a model are table size and wattage. It’s not so much a question of which machine has the most power, but rather of being able to match the size of the laser to the task at hand. For example, Universal Laser Systems in Scottsdale, Ariz., markets 12 different models on its website (www.ulsinc.com). These range from a 16” x 12” table that supports one of three lasers beginning at 10 watts (model VLS2.30), to a 48” x 24” unit that can be equipped with up to 150 watts of laser power (ILS12.75). When one considers the size of most kitchen door panels, that latter platform is far more than most shops will ever need. Epilog Laser (www.epiloglaser.com) in Golden, Colo., also offers several distinct lines of lasers. The Zing Starter Series is ideal for shops just exploring their options because it doesn’t require a huge investment, but it still offers the ability to engrave and cut a wide variety of material, including wood. Their Legend Elite Series can engrave with exceptional detail (up to 1,200 dpi) and offers more power (and thus more speed) than the entry-level models. And their FiberMark Industrial Series can even add bar codes to parts, work on material up to 5” thick by 12” wide and 24” long and do so at remarkable speeds. 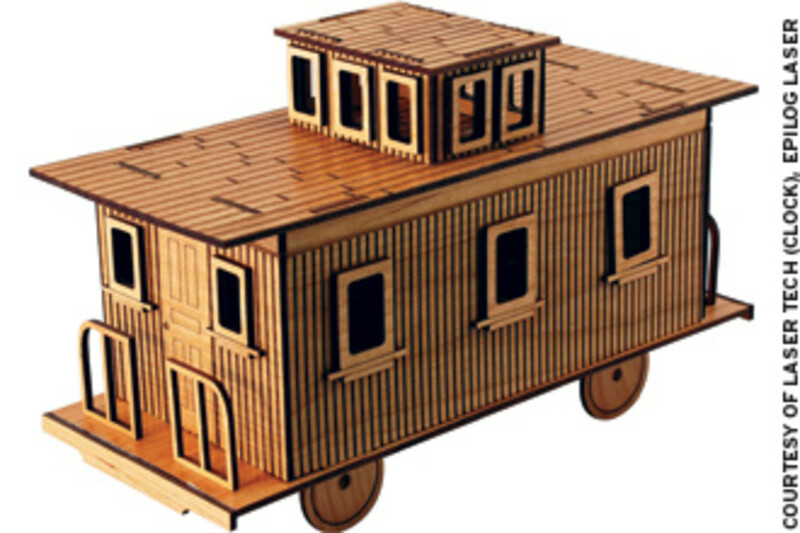 Even the smallest model can change a woodworking business because it allows the shop to offer more choices to customers. 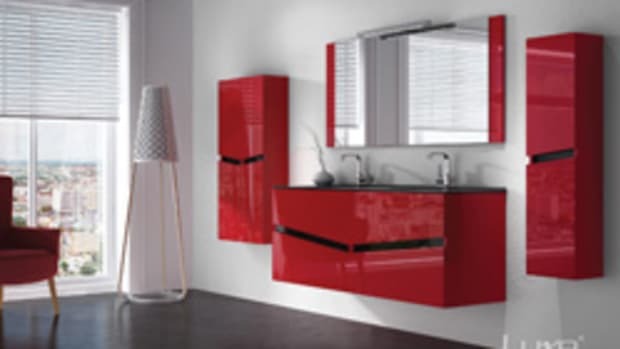 But the larger units can change not just what the woodshop offers, but also how it manufactures. Instead of buying in fretwork moldings and accents such as thin corbels or shelf brackets, these parts can be made in your shop. There are several reasons why lasers have stayed with us and are gradually becoming a larger part of what we do. 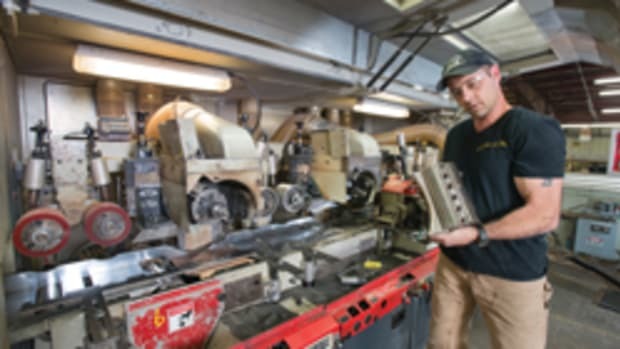 They can cut, mill, engrave and shape thin parts without the shop having to sharpen steel or carbide cutters, periodically replace bits and knives, train a cabinetmaker to sharpen in-house or pay for a sharpening service to do the job. Their repeatability is an enormously valuable tool, allowing shops to create themed décor, such as wildlife depictions through the rooms at a fishing resort or placing a company logo on the door of every office in a building. 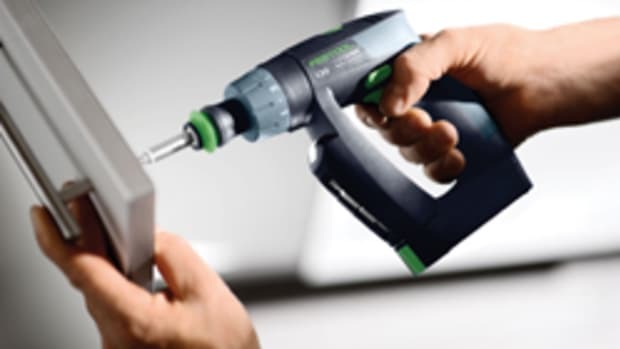 Milling small parts that are precisely the same dimensions is a boon to woodshop customers as diverse as advertising specialties suppliers (who often provide small hand-out gifts at conferences, trade shows, etc.) to the makers of wooden automotive accents and even knockdown furniture. Anywhere that wood parts need to fit precisely with other materials, laser cutting is now an option. 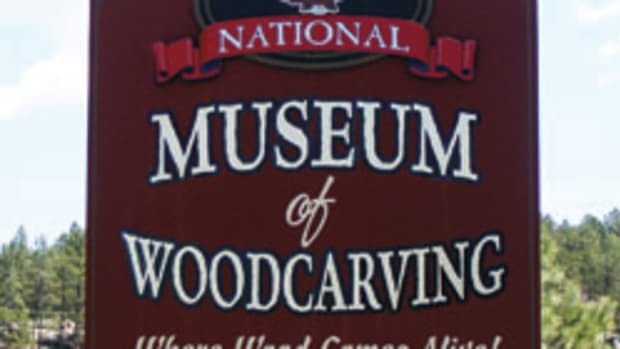 A shop can also offer a client the option of decorating the part that’s being cut with an image, which is another way to create added value, strengthen the bottom line and expand the woodworking business. There are some things a laser can do that traditional tooling just can’t handle. 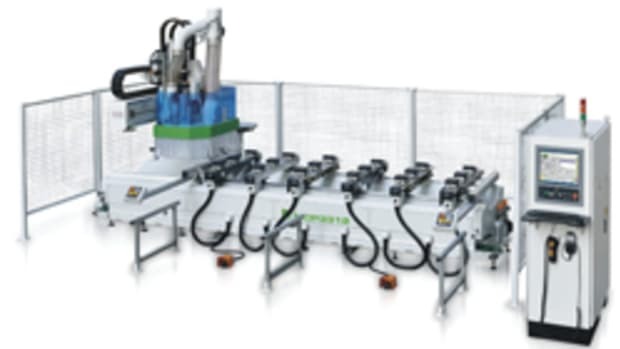 Cutting Edge Systems distributes and supports Epilog laser systems. 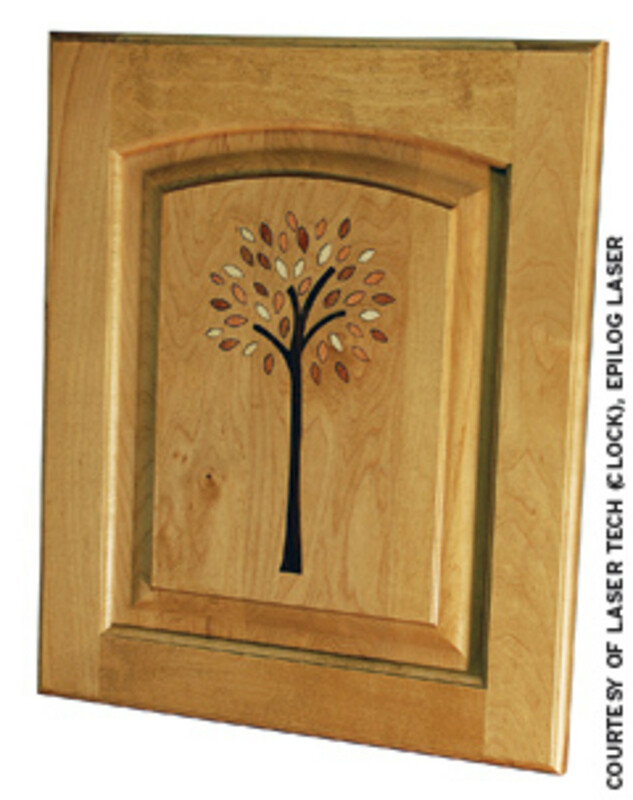 Some of their cabinet-shop clients are now using lasers to engrave a company logo inside drawers and doors as a mark of craftsmanship. The idea is based on the paper tags that furniture builders used to paste on the backs of bedroom sets or the bottoms of dining room tables a century ago. 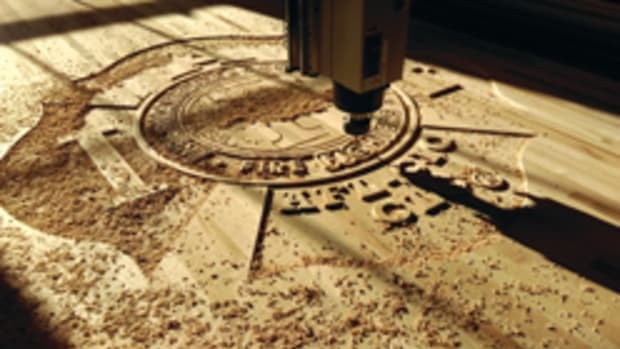 “Another application,” says Cortesy, “is to use a laser to cut a very precise version of a part in acrylic and then this can be used as a template to route multiple copies of parts in wood, using a bearing-guided bit. 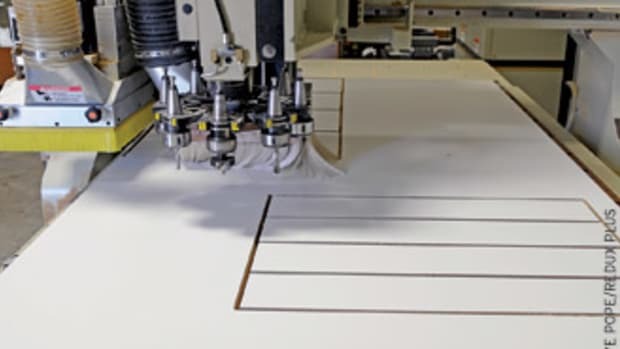 A shop can use this technique to create a huge variety of templates to mark and cut various radii or to make matching parts such as chair rockers or to rout designs on veneered MDF panels, for example. 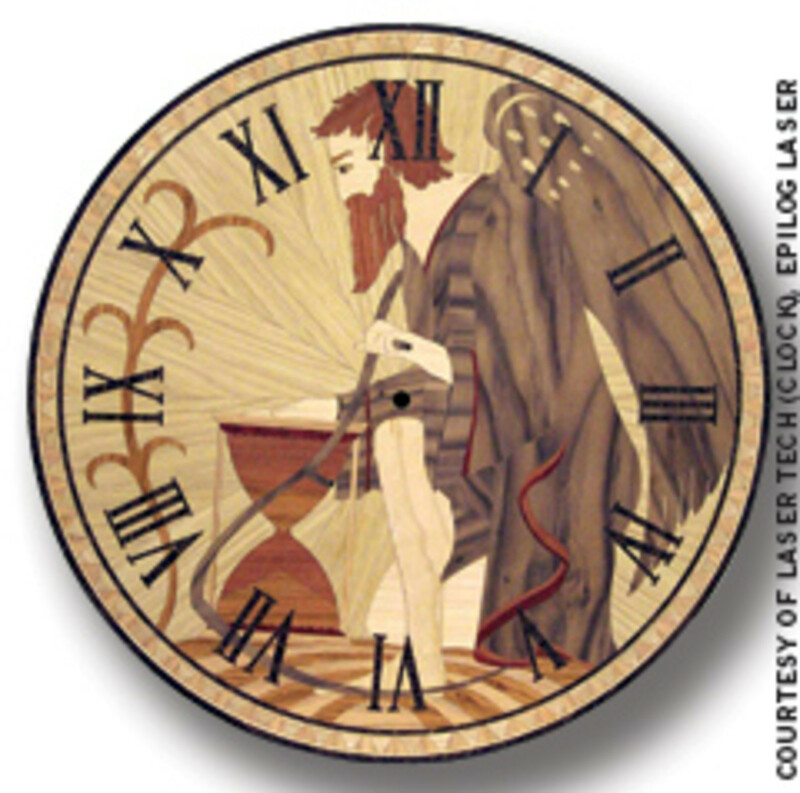 About five miles northwest of the Strip in Las Vegas, Ken Nelson has created an unusual woodworking business that combines his love of turning with the artistic use of lasers. Kallenshaan Woods (www.kallenshaanwoods.com) provides laser-cut wood inlay kits for pen makers. They offer kits that allow pen turners to include images of just about everything from shamrocks to dog breeds to winemaking themes on the barrels of writing instruments. The company also makes key chains, plaques, business-card holders, pen cases and other items. But the idea of offering highly accurate and detailed engraving services to turners has, well, turned a lot of heads. Nelson is typical of people who combine the craft of woodworking with the art that can be created with a laser. Nelson used his laser to make a jig that allowed him to equally space a design around a pen so he could use an indexing system to engrave the entire 360 degrees in increments (usually about 14) and have the ends match up perfectly. That kind of ingenuity allowed him to use the laser to change the very nature of his business — and he’s not alone. 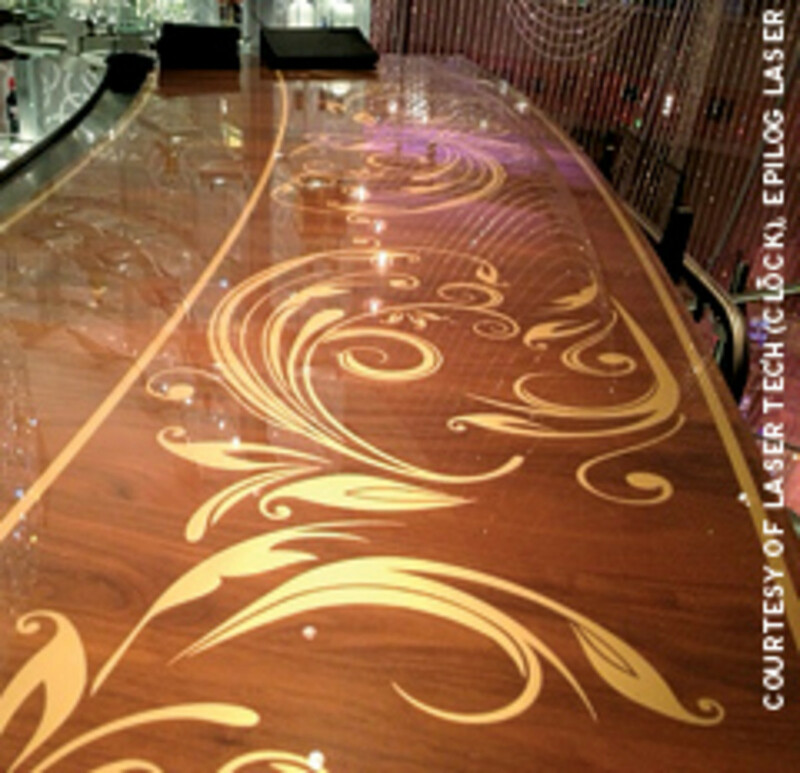 Lasers are changing not only how woodworkers work, but also how they think. And they’re certainly taking us a long way from hand-drawn blueprints.